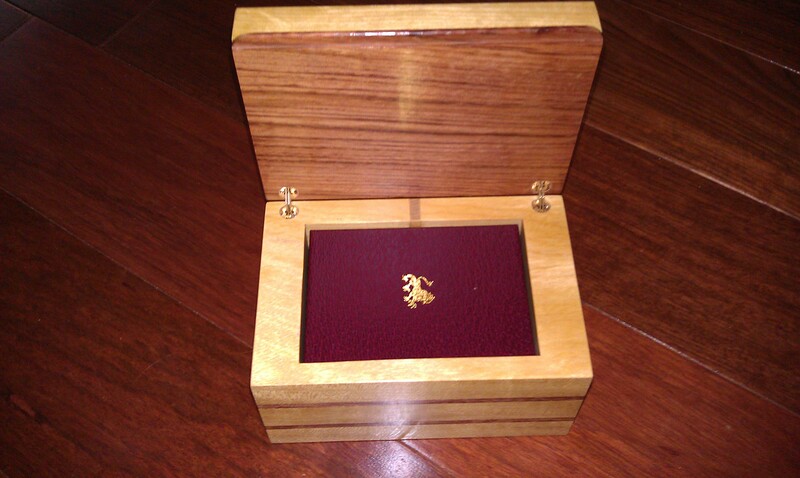 Ornate boxes are a popular project for woodworkers. 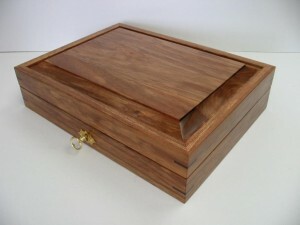 They’re an opportunity to build something that is either easily understated and completely utilitarian, or as a means for flexing their woodworking skills through the use of highly figured woods or veneers, through the display of complicated joinery, elaborate inlays or even specialized hardware. Decorative boxes can be a great all around project for woodworkers to really show off their skills and mastery in the wood shop. 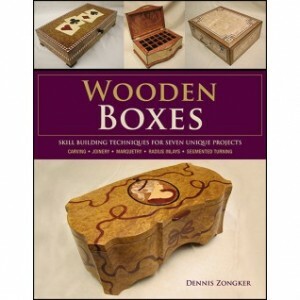 I recently received a review copy of the Taunton Press book “Wooden Boxes: skill-building techniques for seven unique projects” written by professional woodworker and frequent finewoodworking.com blogger Dennis Zongker. 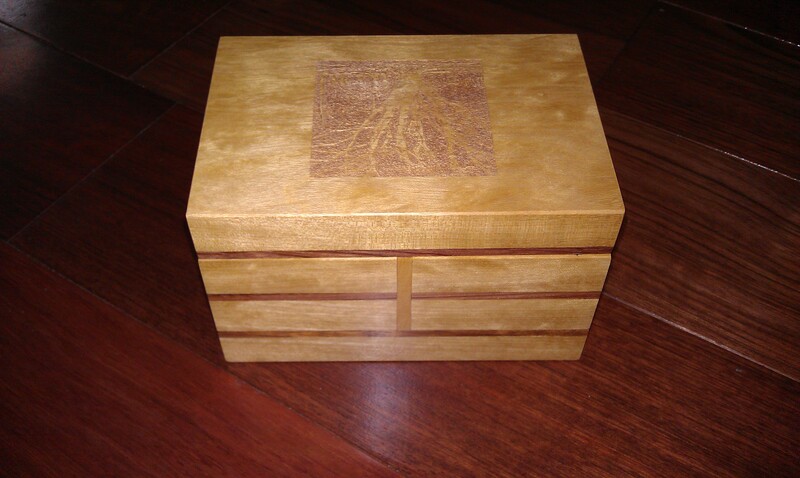 In “Wooden Boxes”, Dennis presents readers with everything they need to know to build seven amazingly beautiful boxes. 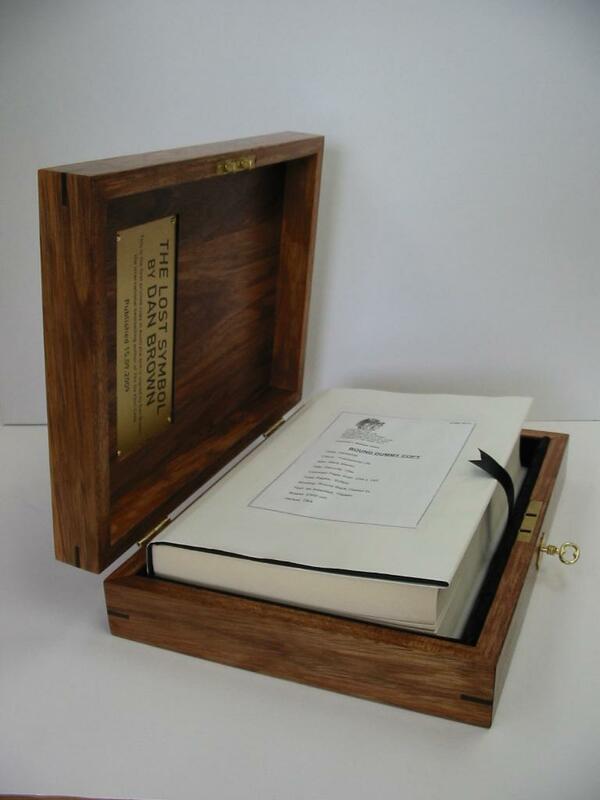 But the reader won’t be blown away simply by the beauty of the boxes alone, they’ll also be excited by the level of detail and information the author provides to reproduce them in their own wood shops. 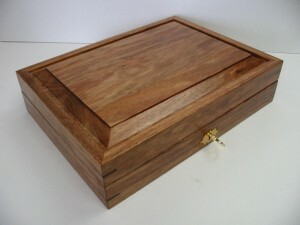 Dennis’ ability to transfer his woodworking knowledge to the reader is evident in every project that’s presented in the book and takes what might look like an intimidating task, even for a woodworker with a few years of experience, into something that is easily understandable and more importantly entirely possible. Each step is laid out for the reader in easy to understand details. From milling stock, to working with veneers and all the way through to applying the finish. The steps and techniques are broken down into easy to follow steps that just about any woodworker with a basic understanding of tools can follow along with. What I liked about this book is that each box is a complete and stand alone project. There’s no requirement to work from one to another in an attempt to teach the reader new skills and then layer them into the next more complicated project. 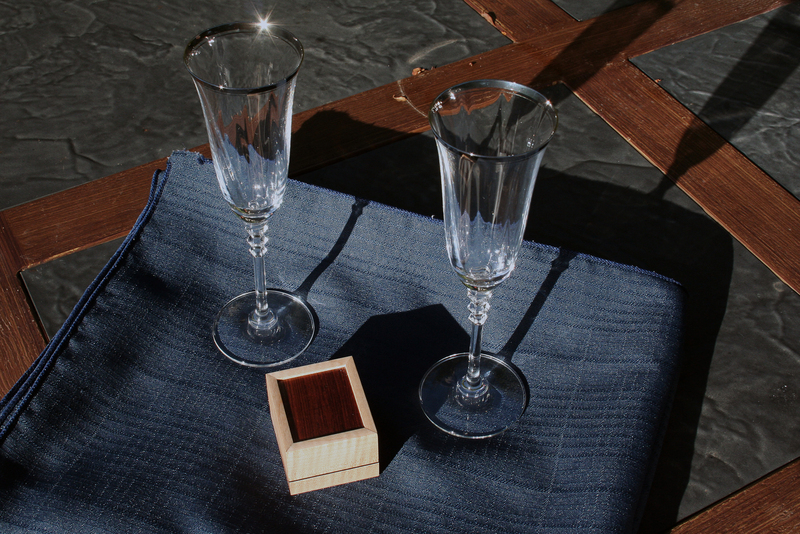 Instead, each project can be accomplished completely separate and allows woodworkers of varying levels of experience to find something they might want to build, and in the process either sharpen their existing skills or completely learn a new one. Among the lessons you’ll learn in the various projects are – how to create intricate relief carvings, inlay banding, accenting a box with veneers, cutting curved box fronts, turning segmented feet and even how to install a full-mortise lock. Even if you might only build one box, the lessons Dennis teaches throughout can easily be applied to projects big and small. If you’re looking to add a little extra detail and ornamentation into your projects, this could be a book you might want to add to your collection. Want a sneak preview of the content in this great book? 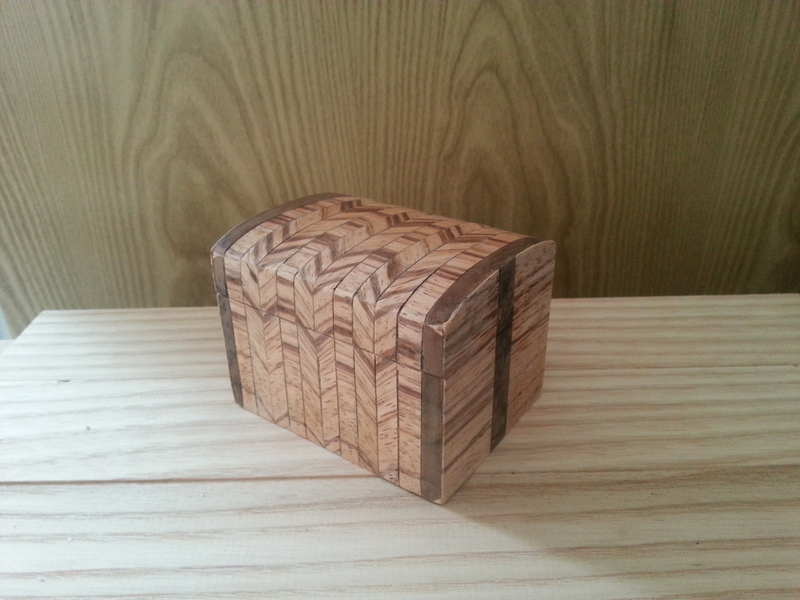 Click on this link to check it out Wooden Boxes by Dennis Zongker. 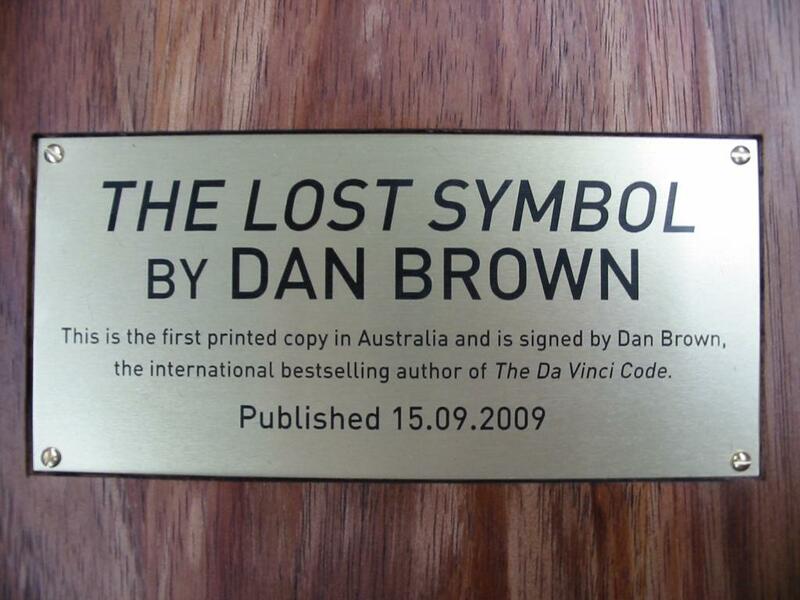 Would you like to win a copy? 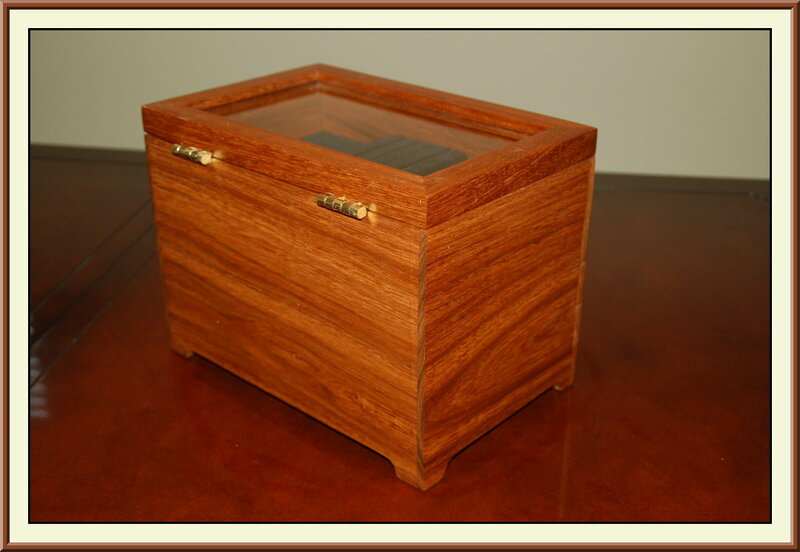 If so, either submit a picture of your favorite box project you’ve built or leave a comment about which lesson from the those listed above you would most like to learn from Dennis. Email your pictures by CLICKING HERE. I would like to become better at installing locks on boxes, which can add a lot to the look of the box. I haven’t built very many boxes, the entire book would really be an asset to me. However the inlay and full-mortise lock is especially interesting! I want to learn how to make curves box fronts. 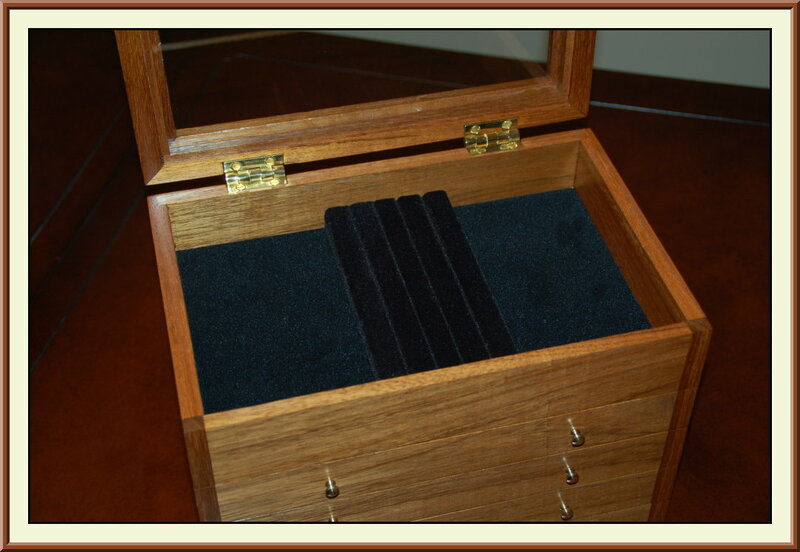 I would love to learn how to inlay bandings! 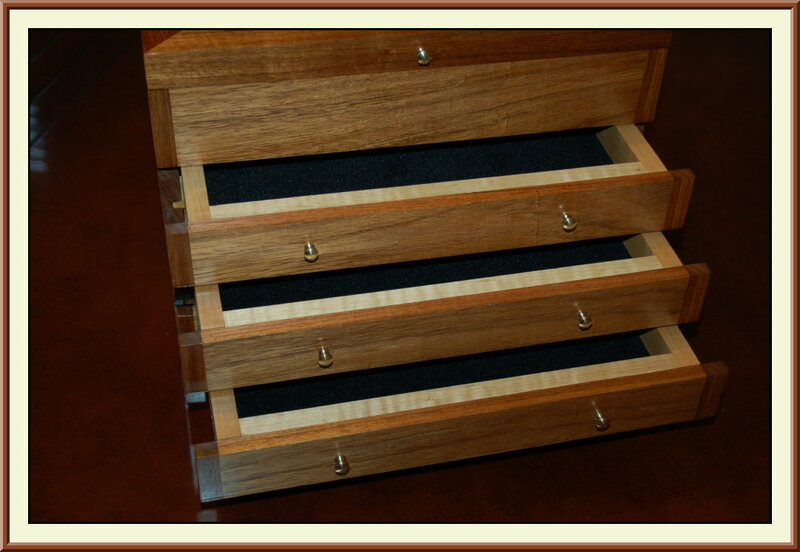 I am interested in learning to accent the look of the box with veneers. I’ve made a heap of boxes over the years but you said to choose a favourite, here are some pics, sorry about the poor quality photos, my computer is an unorganised mess and this is all I could find at the moment. 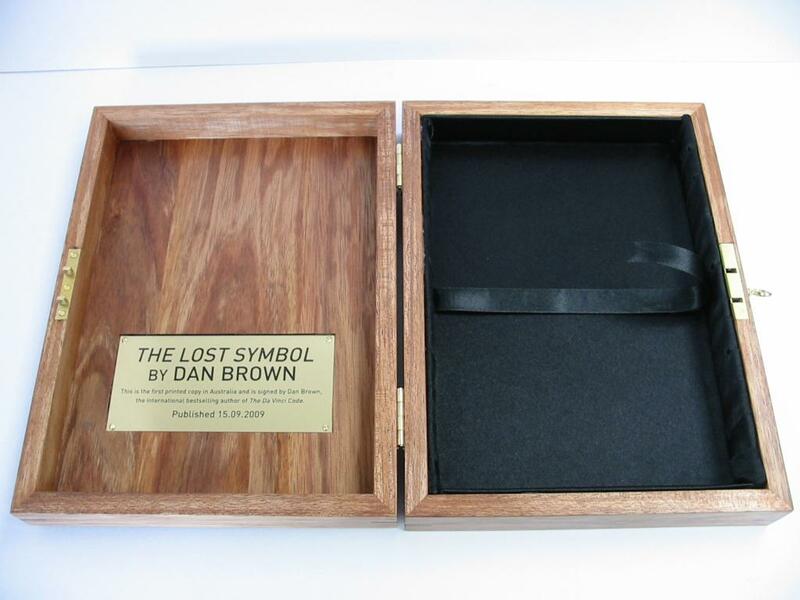 I’ve made boxes with secret compartments etc but I guess I’m most proud of this one because it was for the launch of Dan Browns book and was made for the first printed edition, Random House gave me a dummy book to work with to gauge size etc. 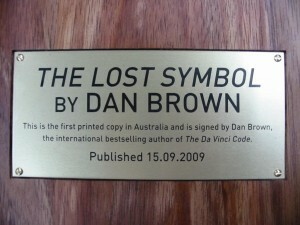 The book itself was kept under lock and key and my box was featured on the Today show (morning show) here in Australia. It was also featured in newspapers etc leading up to the big launch. More details can be viewed on my website by clicking the following link and scrolling down. 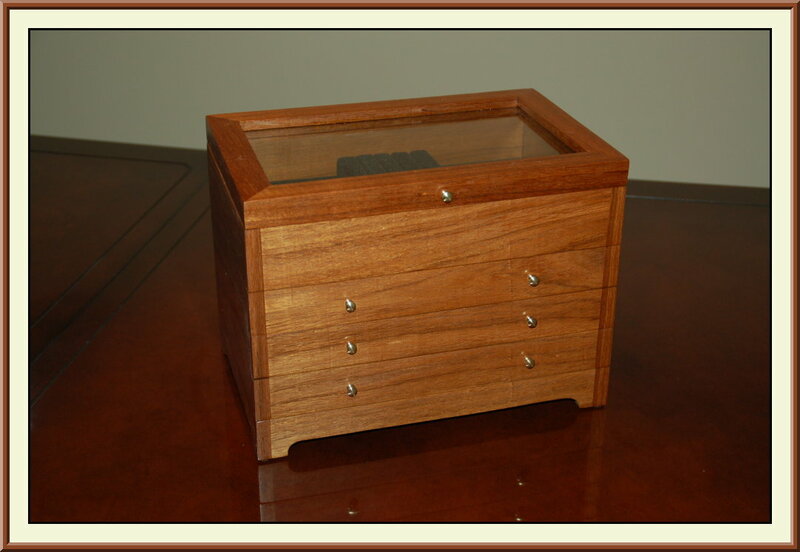 The box is made from solid Tasmanian Blackwood with a raised panel lid, mitre insert joinery and an Australian made Danish Oil finish polished with Australian Traditional Wax. 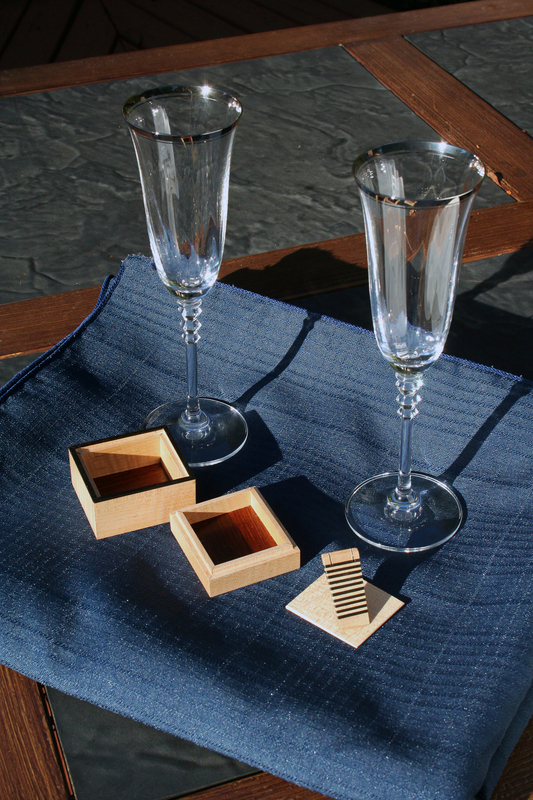 The box was designed to be opened up and lay flat so the two halves of the lid and base where the exact same size. 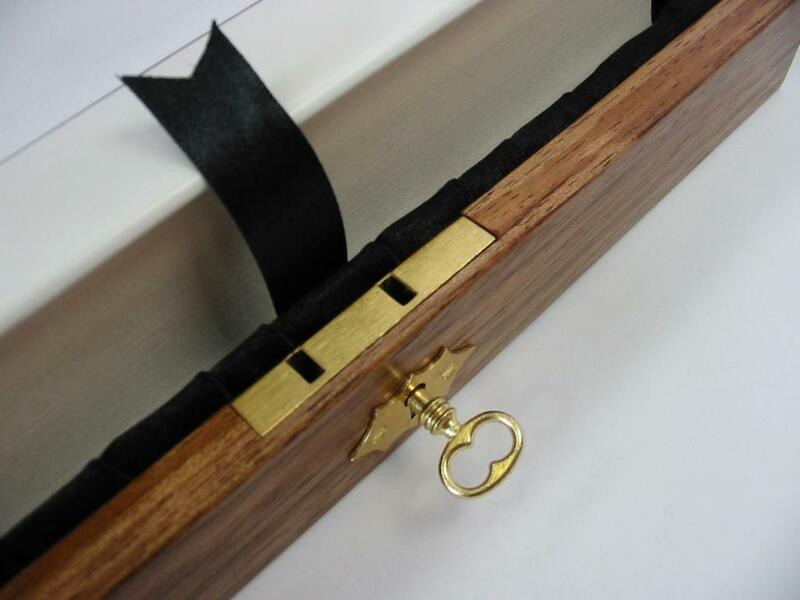 It features a fitted mortise lock and black satin lining with a ribbon to remove the book easily. 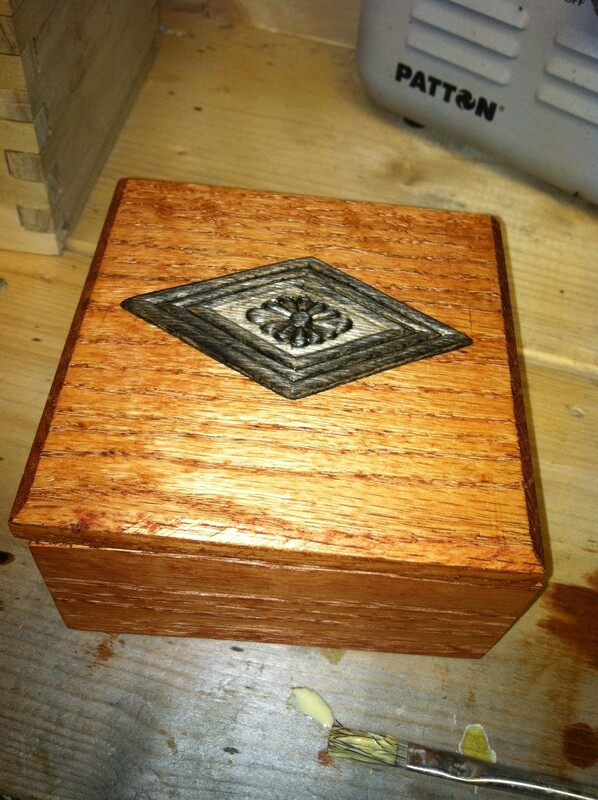 The laser engraved brass plate was recessed inside the lid. Hope you like it. I would love to win a copy of the new box making book. Well it might be small but I bet none of the other boxes took this long to come about or caused this much excitement and screaming. For ten years now I have been fortunate enough to be with my wonderful wife. She and I have had some great times together as a family. She always asked for jewelry every chance she could but very rarely ever got any, certainly nothing like what she was surprised with. Now being a woodworker and trim carpenter when I picked out the ear rings for her I knew I needed a cool way to present them. So I decided to make a custom little jewelry box for them. Some curly Maple, Bubinga, and ebony ascents got laid together. While the project was little and quick (which it needed to be to keep it a secret) it was a blast making, so much so I actually built two! The display support that holds the ear rings is made of 10 lines of ebony separated with maple representing the 10 years of our marriage. 7 Layers represent luck and resemble a layer cake. 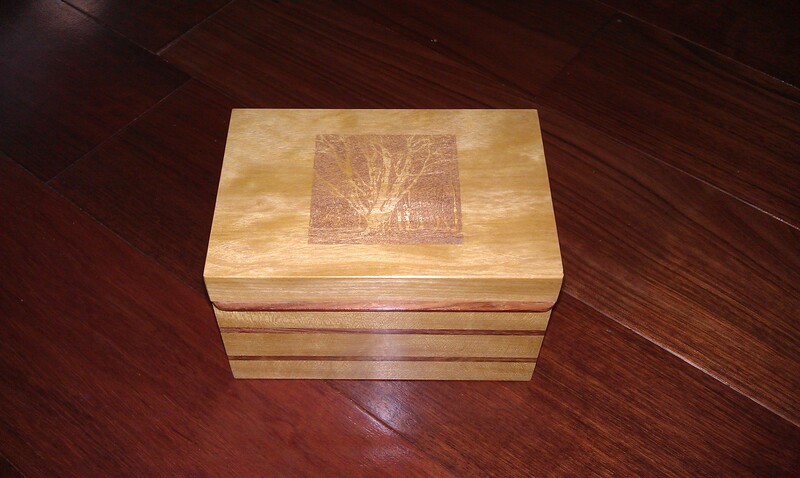 Top has a laser etched image of a favorite tree from her parents property. Oh, she said Yes! 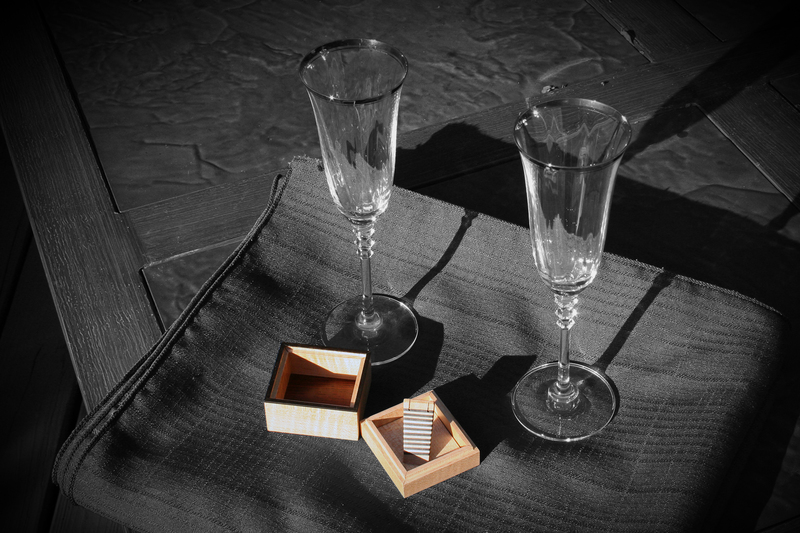 The picture is one of my favourite boxes i did. 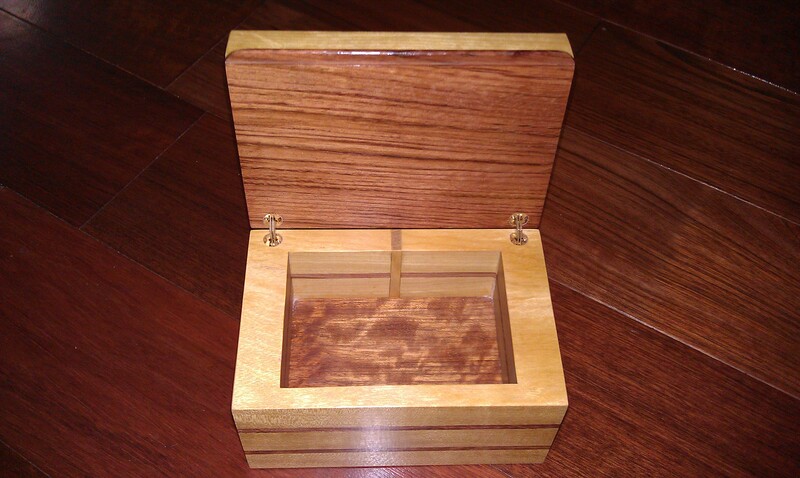 I used Zebrano wood veneer to get the end result. Hope you like it.